Amanda joined the firm in 2000, when she began studying for the AAT accounting qualification. She soon passed with flying colours and progressed to study with the Institute of Chartered Accountants England & Wales, qualifying in 2006. 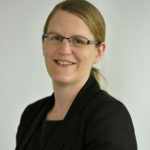 Amanda now manages a portfolio of general practice clients, including sole traders, partnerships and companies, at the Ely office, where she is a resident Partner. She has a wide knowledge of all aspects of accountancy and tax, with a bias towards small businesses, particularly sole traders and partnerships as well as owner managed Limited Companies. She has a keen interest in start-ups and the opportunities this offers to be of assistance to them in their early days of set-up, guiding them through incorporation of a company, handling book keeping and all of the compliance issues that come along with starting a business for the first time. She chairs the firm's Start-up group. Outside of the office Amanda is kept busy with her young daughter. She fills any spare time left in growing her own garden produce.